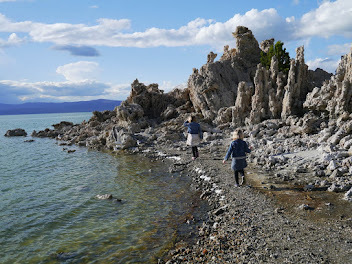 Ok, so I'm skipping a little further ahead here but I couldn't wait to share these pictures from tonight. 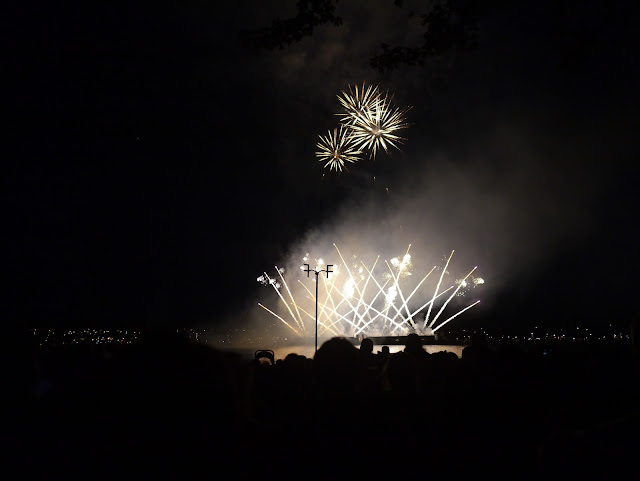 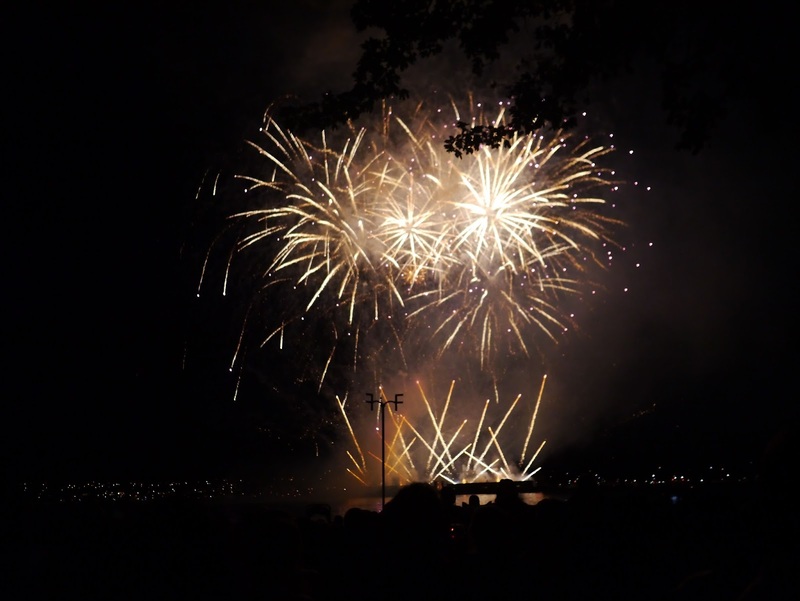 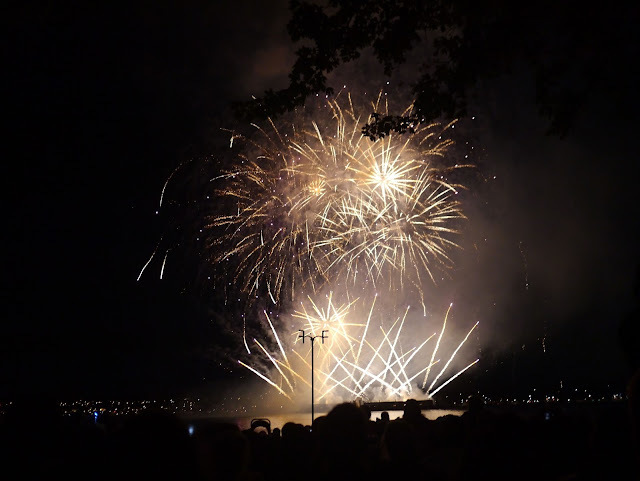 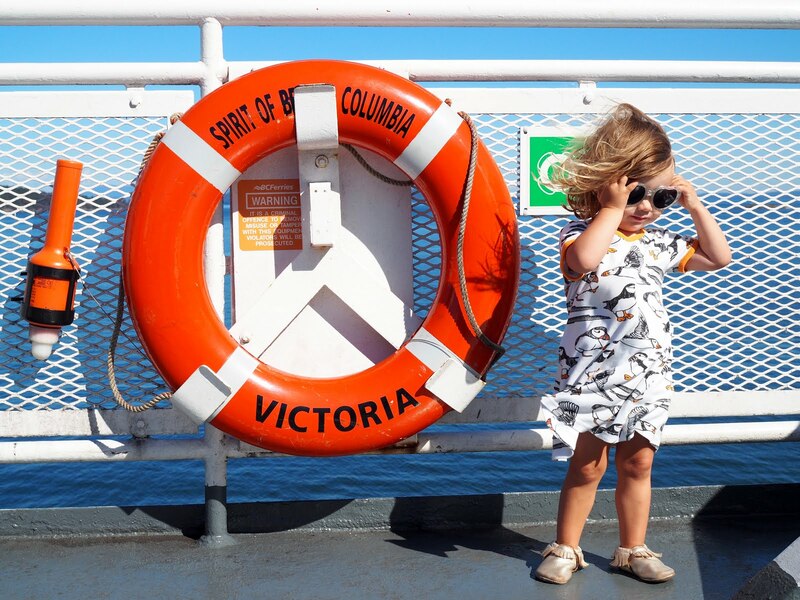 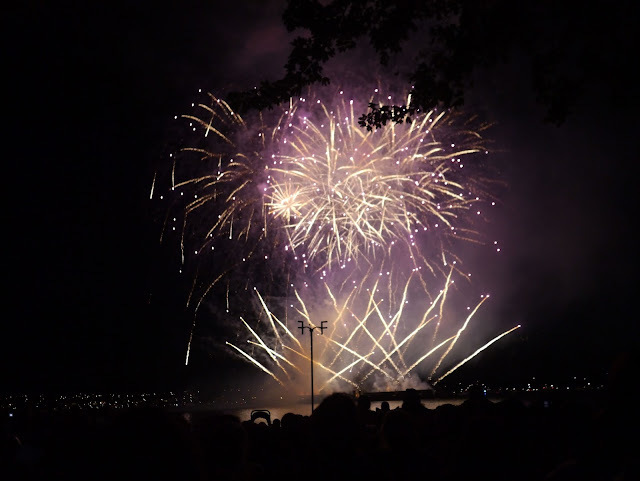 We've been really lucky that our stay in Vancouver has coincided with the first night of the annual Celebration of Light festival. 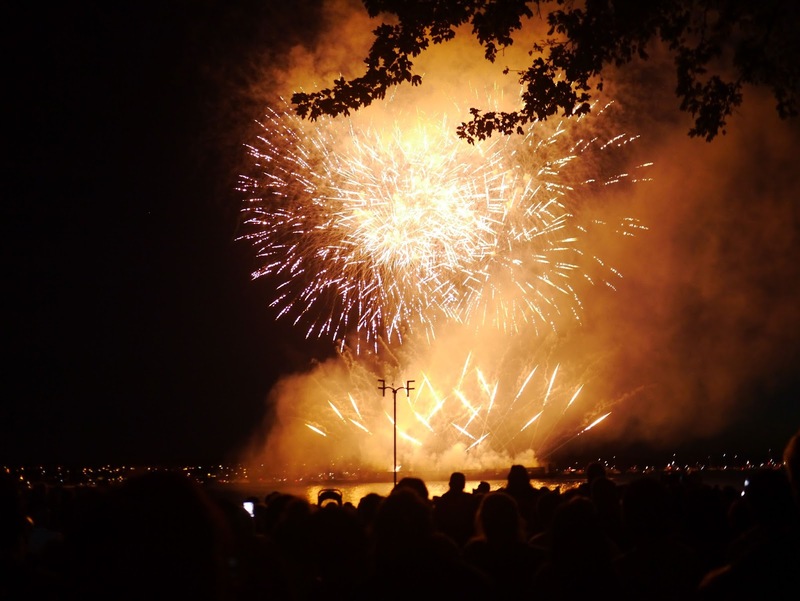 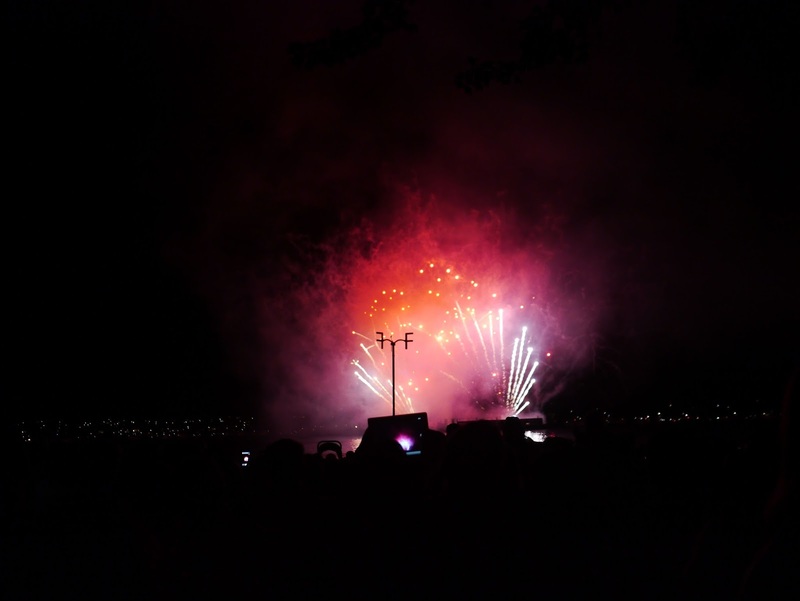 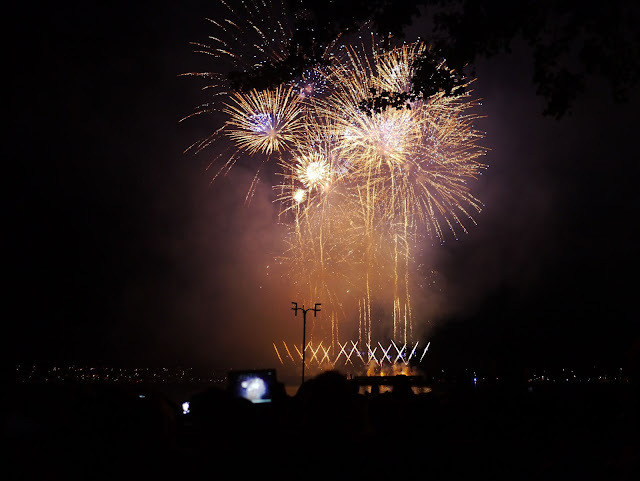 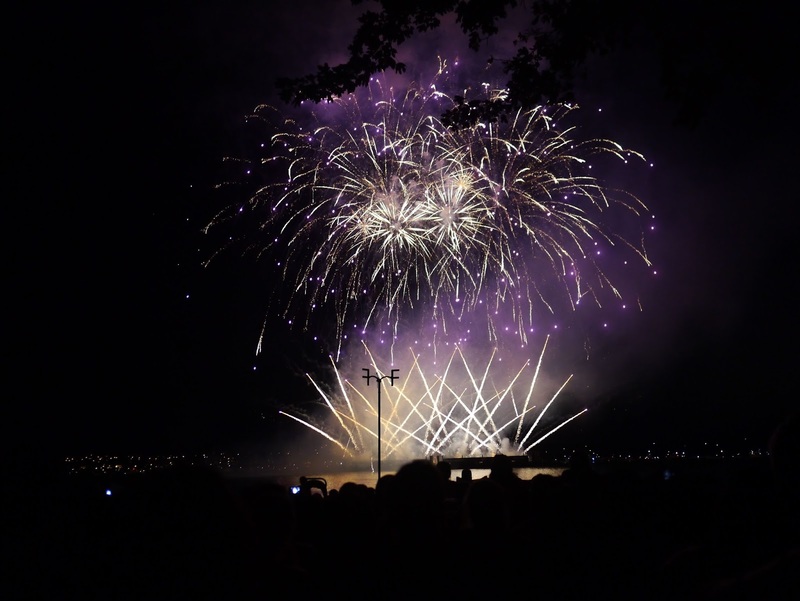 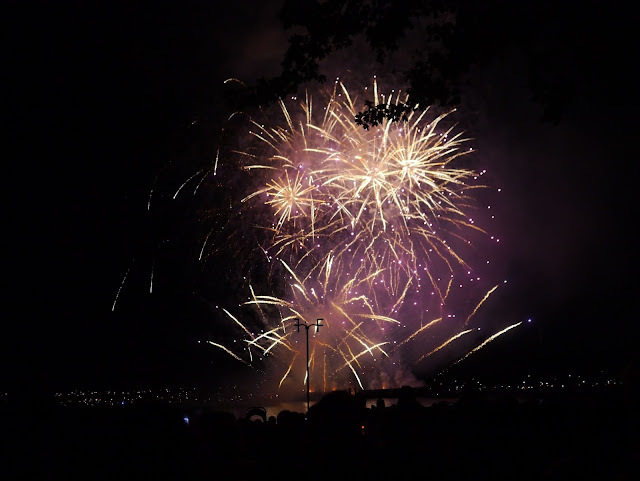 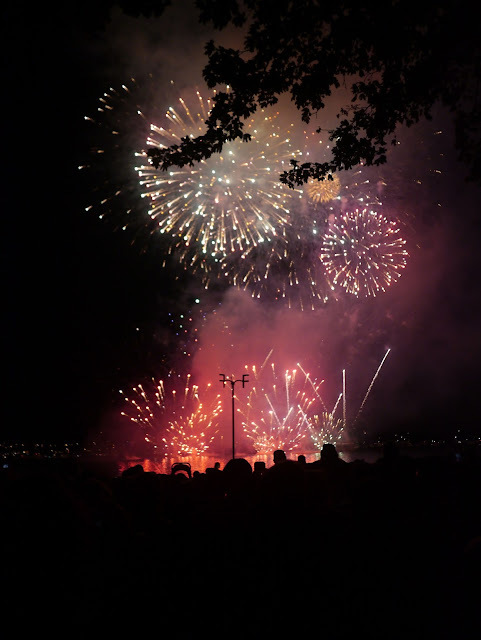 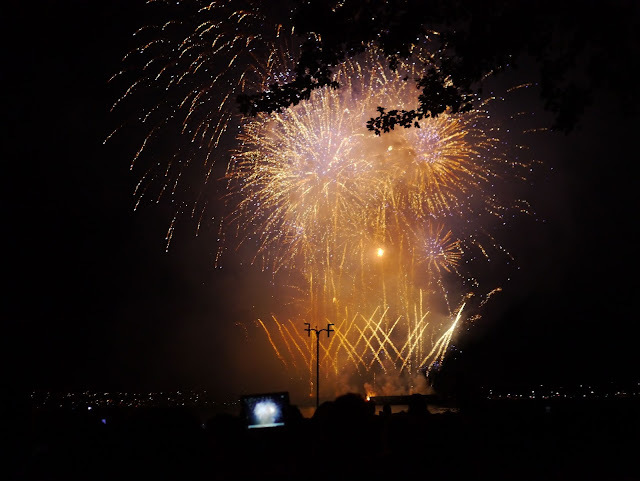 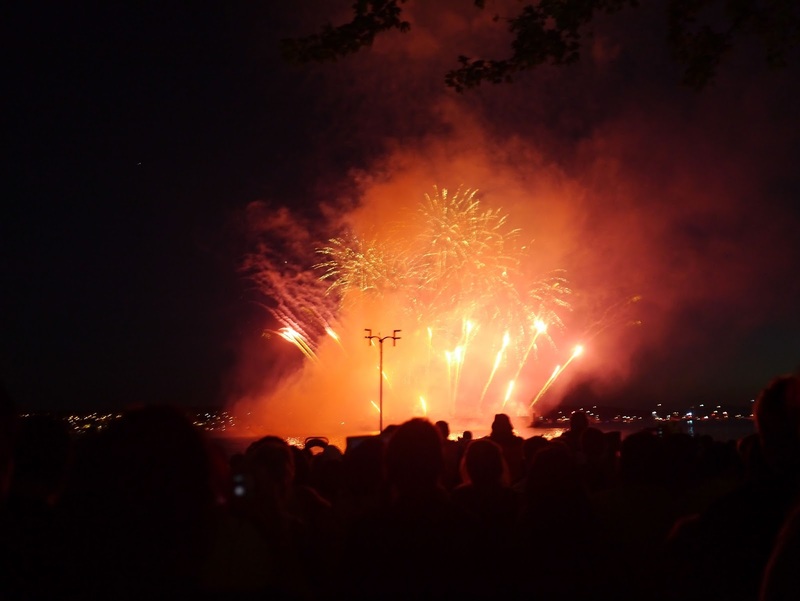 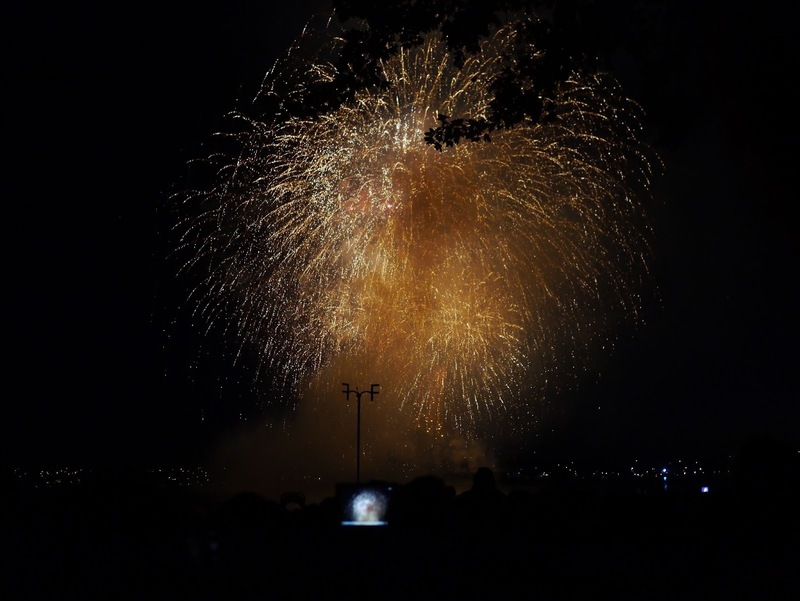 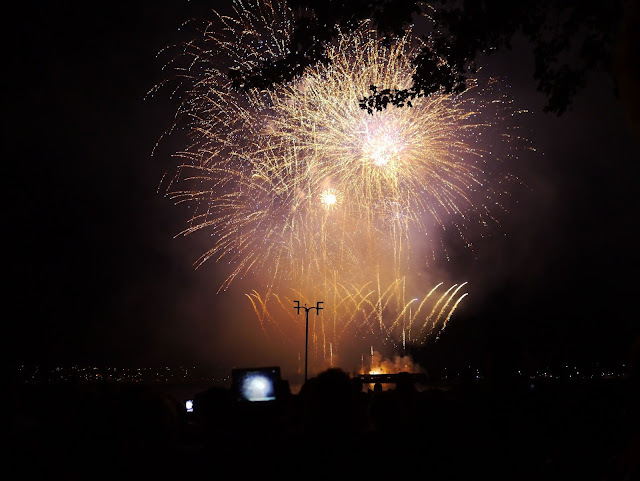 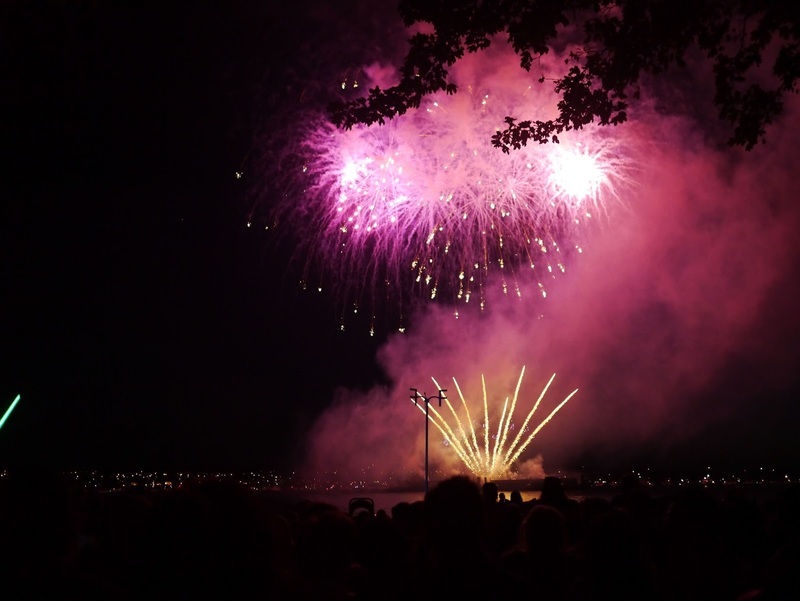 Celebration of Light is Vancouver biggest event and the largest offshore fireworks competition in the the world. 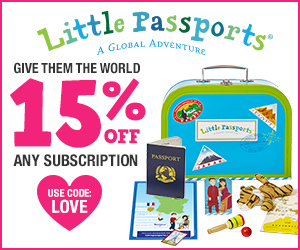 Each year three countries compete for the title over three different nights. 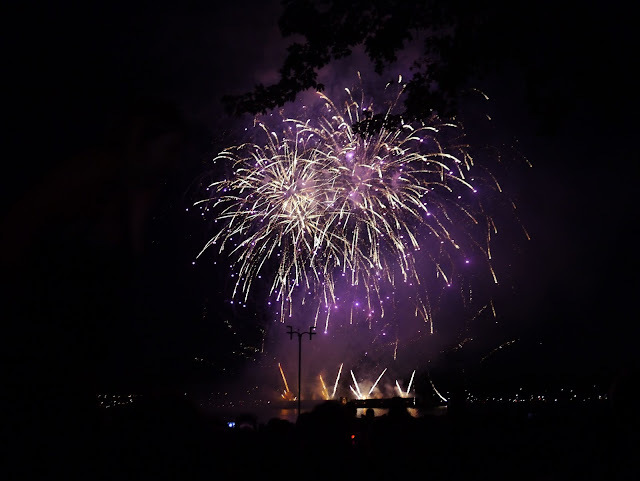 Tonight's spectacular display was courtesy of the United Kingdom. 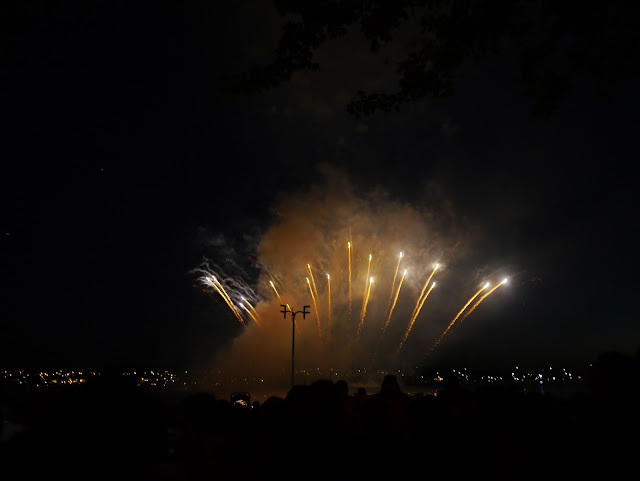 Canada and Thailand will also be competing however we won't be here to see their displays. 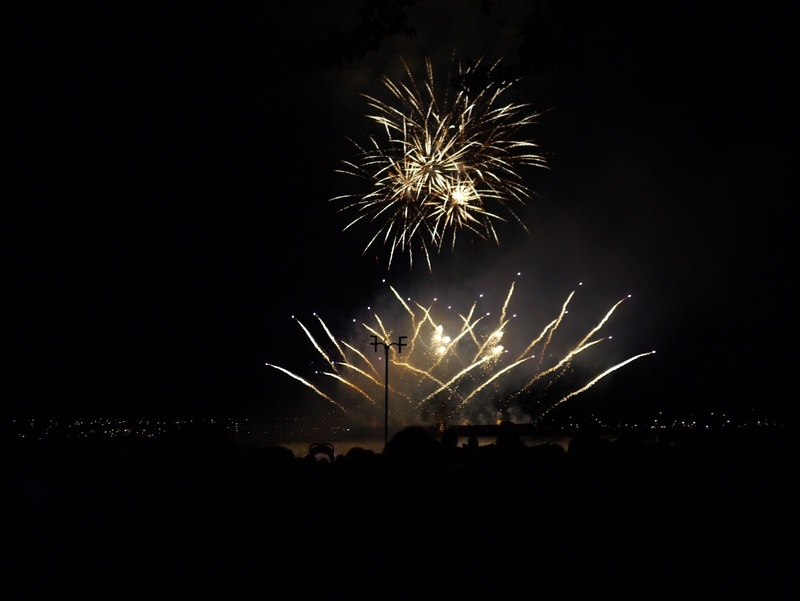 I've seen some pretty amazing fireworks displays in my time (New Year's Eve 2003 over Sydney Harbour springs to mind) but this was definitely the biggest display I've ever seen and we were lucky to be able to see it so close up.